This refined design mixes contemporary style with maximum storage. 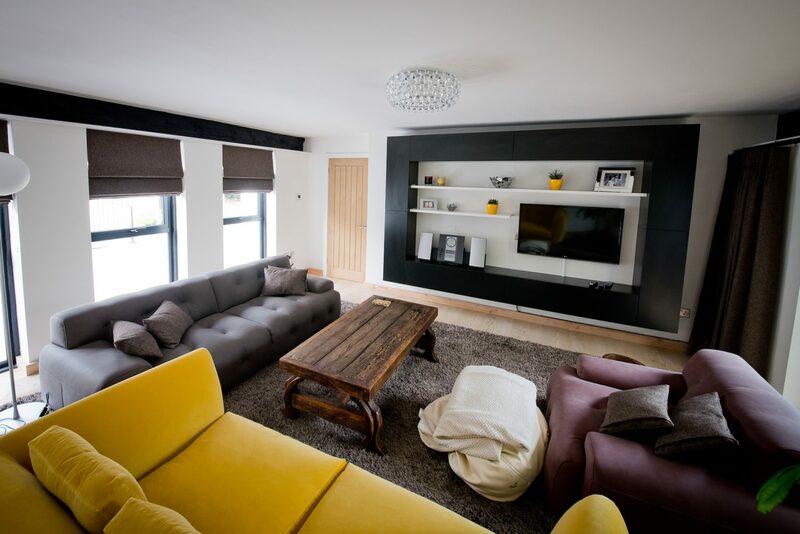 Having already designed other areas of the home, the client required lounge storage around the television. With some existing feature pieces of furniture which incorporated bold colours, the storage units needed to compliment this. 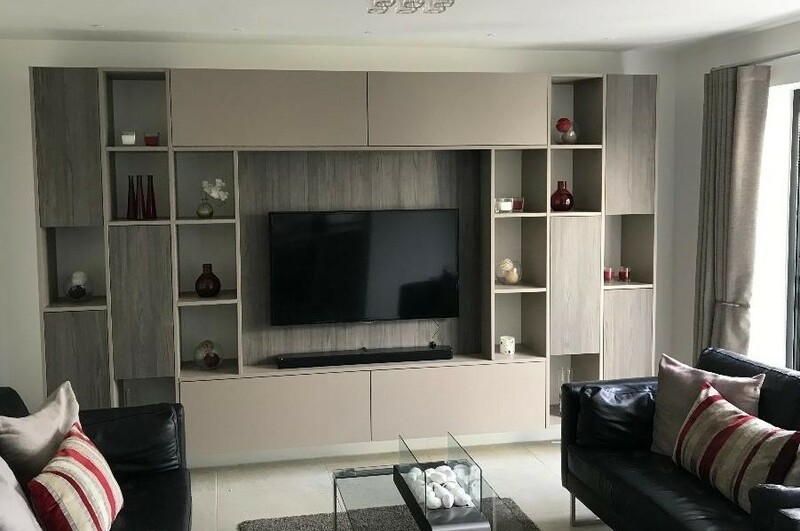 A mixture of open shelving and closed storage was essential for displaying items and hiding away those unsightly cables and TV accessories. 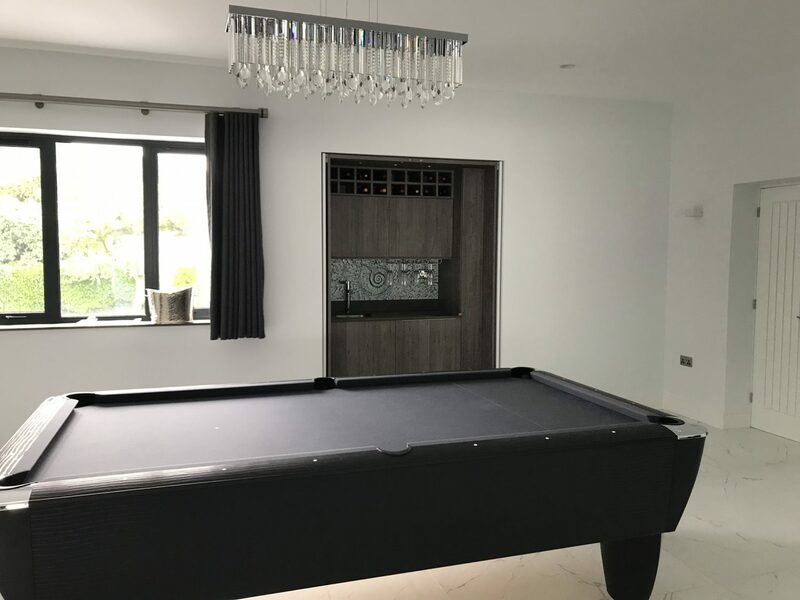 A collection of schemes to compliment the kitchen design, these included a study and bar area as well as tv storage units and pool house. 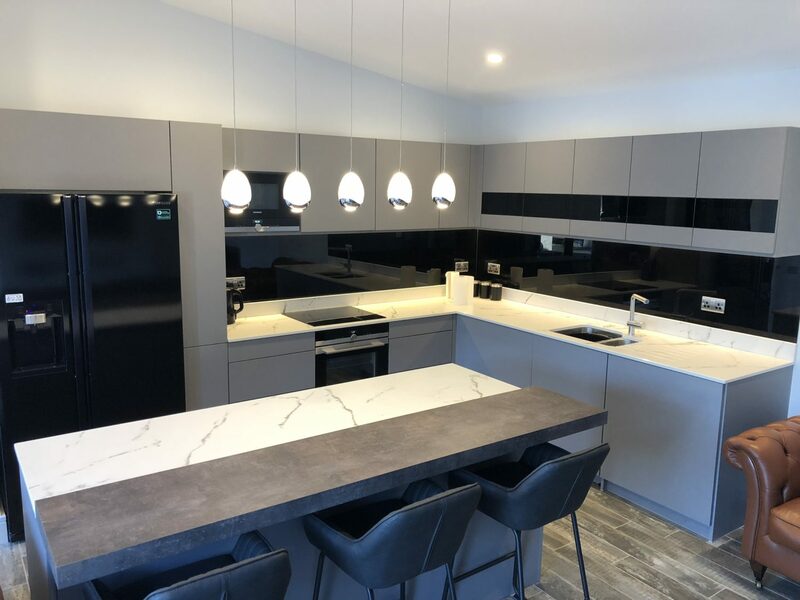 The whole property was being totally renovated, as the client was happy with the kitchen scheme, the aim was to replicate aspects of the design in other areas of the home. 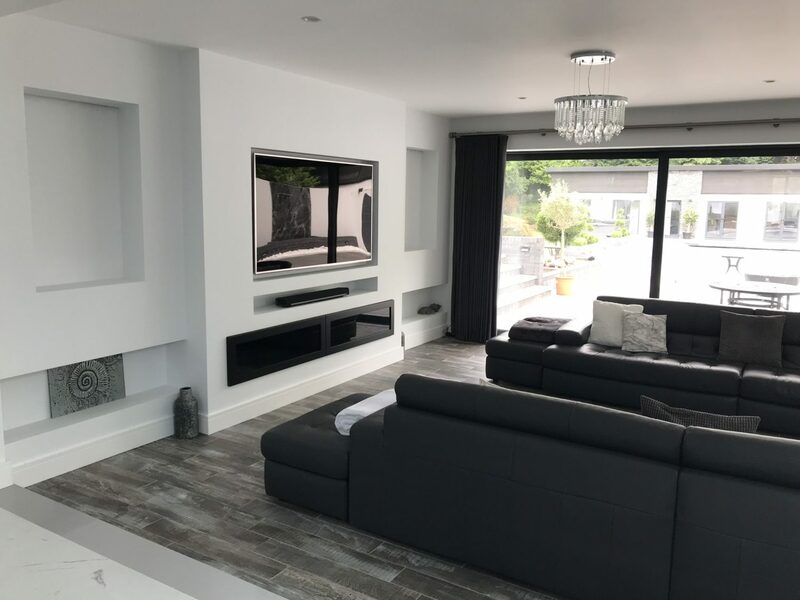 With an open plan kitchen, living, dining room, the client required a tv unit that would match the entire scheme.